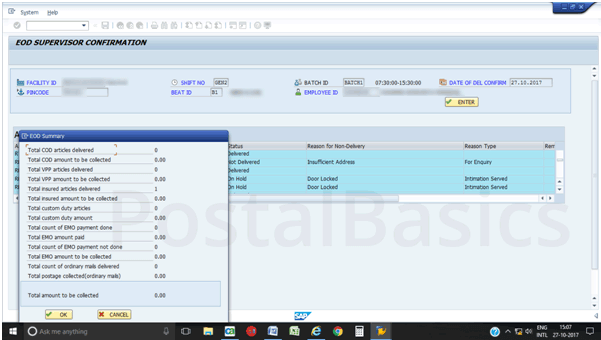 EOD in DPMS is similar to the submit account procedure that we had in the previous package. EOD is performed by the supervisor once you have taken the beat returns. 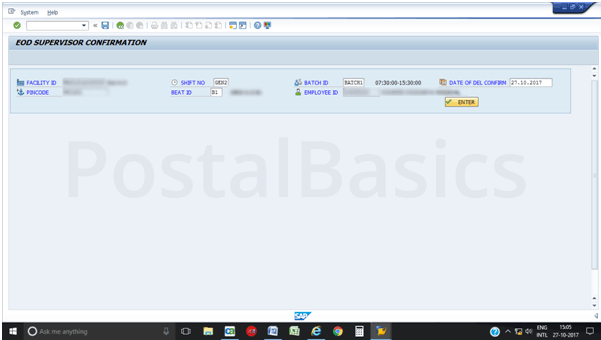 Go to SAP main screen or type the T-code zdop_main. The following screen will appear. 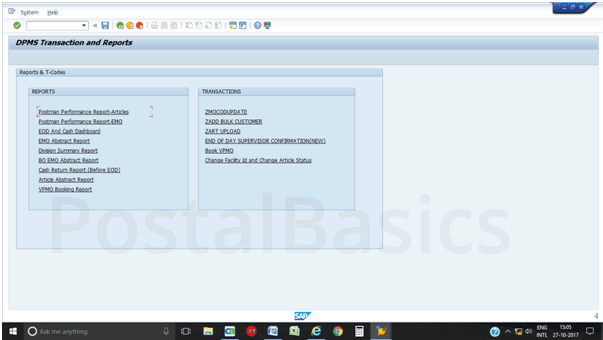 Now, click on DPMS transaction and report. The below screen will be shown. Here, click on END OF DAY SUPERVISOR CONFIRMATION link. It will be redirected to the below screen. 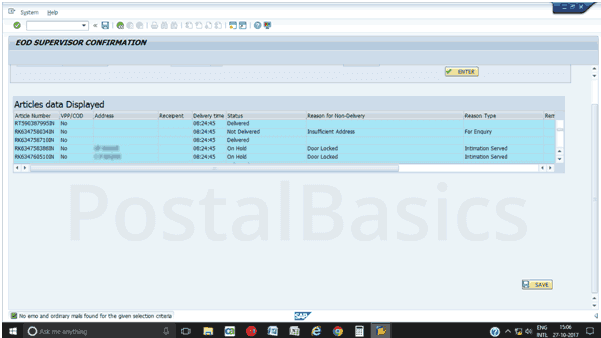 Select Shift No., Batch ID, Beat ID and click on ENTER button. 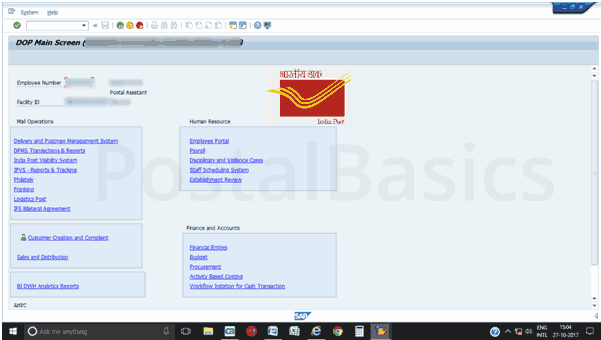 Now it will show the article details such as whether the article is delivered, returned or in deposit etc. Similarly, it will also show the details of EMOs. Now, confirm the details of all the article. If everything is correct then, click on the save button. The below pop up gets updated. Here, you can confirm the amount which is paid and returned to the treasurer. Click on ok. This is how you can perform the EOD.